The Certikin Aquaspeed pump has been a popular choice now for many years, and thanks to continual improvement remains a popular choice for domestic and light-commercial Swimming Pool filtration systems. 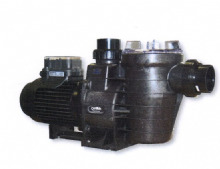 This high efficiency pump from Certikin is ideal for domestic and light commercial Swimming Pools. The Hayward Super Pump is efficient, dependable and proven. designed for inground pools and spas of all types and sizes. 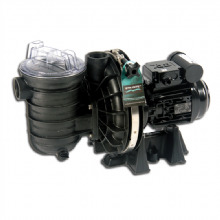 The Pentair Sta-Rite 5P2R Swimming Pool Filtration Pump is still the best selling pump in the UK. 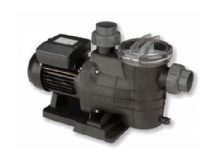 High quality durable pumps available to suit most pool and spa applications. The Certikin Mini Pump is ideal for use on above ground, or small inground pools. Carrying over all the existing features of the Aquaspeed pump, the new Eco-V delivers fantastic variable speed economy savings in a reliable tried and tested pump format. The Certikin Aquaspeed 2 speed pump single phase pump 1.5HP (1.1kW) is suitable for both pool and spa filtration applications.